Symphonic terror-fest! 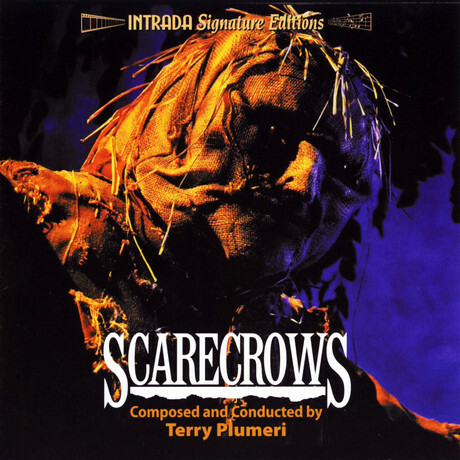 World premiere of original soundtrack from William Wesley scarecrow nightmare tale with Ted Vernon, Michael Simms. Terry Plumeri creates intense, creepy orchestral score with emphasis on dark, low woodwind colors, percussion, strings. Plumeri uses dissonance but balances with considerable use of solo colors, tonal ideas. Results are lean, fresh horror music that evokes scoring economies of TV's famous original TWILIGHT ZONE series. Complete score presented in crisp, dynamic sound direct from 1/2' three-track stereo session masters vaulted at MGM. A treat for horror movie soundtrack fans! Terry Plumeri conducts. Intrada Signature Edition limited to 1000 copies!